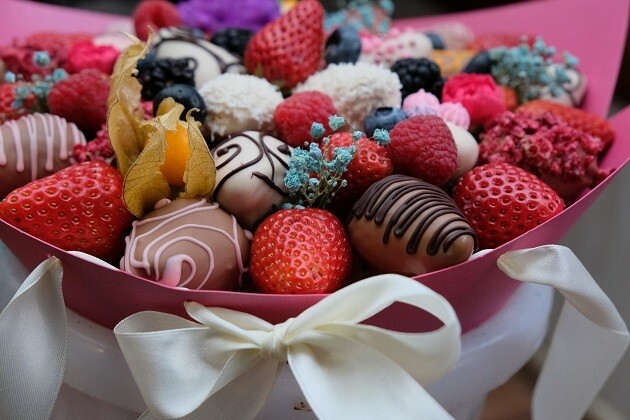 ASTANA – Almaty businessman Dinmukhamed Baitukayev plans to open a store in Astana by Feb. 14, selling edible bouquets into the Astana market before Valentine’s Day. 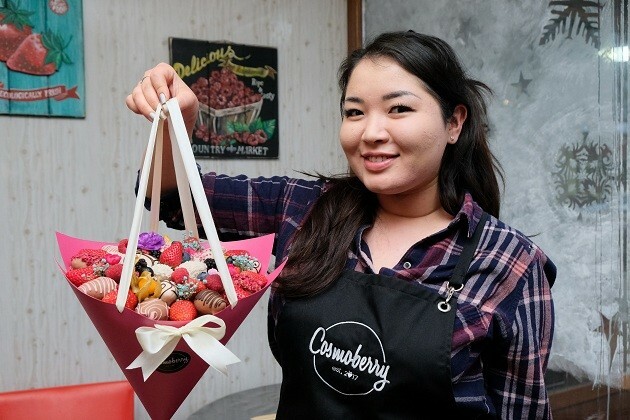 His company Cosmoberry already operates an edible bouquet service in Almaty and makes bouquets out of strawberries, fruits and chocolates. Baitukayev told The Astana Times he believes the standard flower bouquet market is oversaturated and offers room for edibles. “My girlfriend is very fond of strawberries, and one evening we melted chocolate and decided to try to dunk strawberries there. Then we began to search what else can be done with it on the web. But we found the standard options for serving berries with chocolate. We began to think what interesting things can be done. And the idea of ​​opening a store was born,” Baitukayev said. In the beginning of 2017, he opened a mini-workshop in Almaty. The first sales were made by friends and relatives. Later the businessman started to use Instagram and began to invest in advertising. “The demand for our products was good. We have seen what we do. And at the time when we started, there were no competitors on the Almaty market. We came up with all technology and design came up by themselves,” Baitukayev said. After a year of work, it became possible to open an offline store. 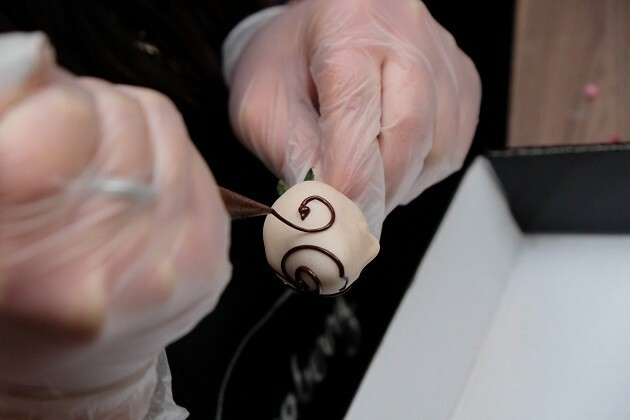 Today, clients go to his facility for a tasting or for a ready-made bouquet. He can create a bouquet within an hour of an order. “The creation of our nosegays is laborious, using drawings and a certain design. Earlier, we managed to make no more than 10 (bouquets) per day. Now, we have adjusted and accelerated the process,” he explained. Baitukayev said that last year, after opening Cosmoberry, more than 15 similar companies opened in the city. But they did not last long in the market and quickly closed. “There are some nuances with the purchase of strawberries. In the summer, we buy the local berries, and when it ends, we import it. In winter, its cost is significantly different from the summer. One kilogramme can be compared with the cost of three kilogrammes of meat in the store,” he said. The summer harvest is cheaper, but in summer, strawberries can be soft or deteriorate quickly, lose their good appearance. It is important for the product that berry remained firm, meaty and tasty. “Last year, we bought strawberries in the South Kazakhstan region. We try to buy local, because imported is not so natural. We use approximately 50 kilogrammes of berries per week or approximately 10 kilogrammes per day,” Baitukayev said.